The release of Justin Bieber’s much-anticipated album “Purpose” in early November made big waves throughout the music industry. The album has been widely viewed as a sort of apology for Bieber’s reckless behaviour in the past few years – an olive branch for his fans that stuck with him through his moments of negligence. Bieber ditched his usual bubblegum-pop persona on “Purpose,” instead opting for an edgier sound that reflects his growth as an artist. An essential part of this growth was whom Bieber chose to feature on his tracks; the predictable high-profile choices like Usher and Ludacris took a seat for this one. “The Feeling” features Halsey, the 21-year-old rising electropop star, while “No Sense” exhibits a breathy rap verse from Travis Scott with just a hint of trap. Bieber’s carefully curated feature list undoubtedly appeals to an audience looking to hear more from emerging young artists, all similar to where Bieber started out just a few years ago. Bieber’s change in featured artists sparked a major shift in sound. It is refreshing to hear this side of Bieber, and although many of the tracks follow the same theme of his previous work, he mixes some sassy lyrics in with his archetypal songs of love and heartache. Bass-heavy dance tracks are balanced out by softer melodies featuring emotional piano solos and falsetto notes. Bieber dips his toes into an EDM sound by pairing up with DJ/producers Skrillex and Diplo on the hit track “Where Are Ü Now,” which set the tone for the rest of the dance tracks on the album. Skrillex left his mark on seven songs on the album as producer, and his heavy dubstep background gave Bieber’s smooth vocals a fresh boost. “Children” and “Hit The Ground” seamlessly meld together both Bieber’s vocal talents and Skrillex’s electronic production skills. 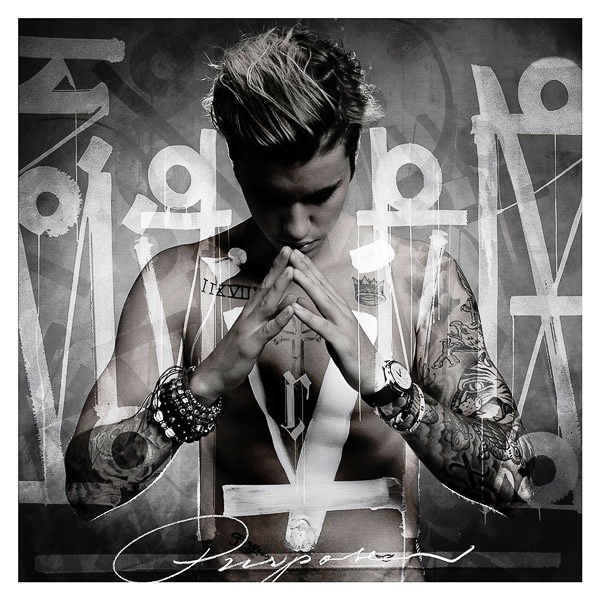 Many of the lyrics consist of Bieber looking inside himself and addressing his own personal struggles. The title track “Purpose” and “All In It” both feature spoken audio clips of Bieber himself, quoting “I always felt like I had to be the best at everything / Cause I just didn’t think I wasn’t good enough” and “You can’t be hard on yourself for these were the cards that you were given.” These clips make it seem like Bieber is desperate in trying to get his apology across, whether it be to his fan base or an ex-girlfriend; Bieber is undeniably more convincing when he’s crooning his lyrics than attempting a motivational speech midway through a song. “Purpose” was the make-or-break element in Bieber’s career, either allowing him redemption from his rocky past or solidifying that 2012’s album “Believe” was his peak. We were ready to hear a new sound from Bieber, and that’s exactly what he provided on “Purpose.” It’s safe to say that Bieber has recaptured the world’s attention.